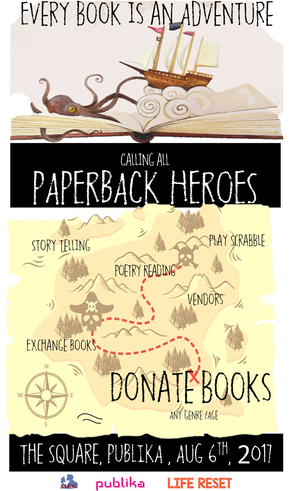 Paperback Heroes is a preloved book collection drive to help build libraries in schools and homes to help spread the joy of reading. There will be many great stuff to do and see while you bring your good condition pre-loved books of any genre for any age, from children books, to self -help to young adult to cooking. Anything, we take! Every little bit helps. This event is supported by The KL Book Appreciation Club. If you know of any homes/refugee camps as well as organizations who will like to benefit from our collection, please reach out to me!